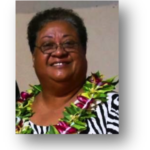 Chairwoman PIANGO Board Sarah M. Thomas-Nededog, is Board Chairperson at Payu-TA, Guam and is Senior Vice President at Westcare Pacific Islands. 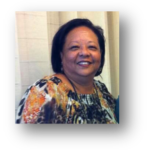 Mrs. Thomas-Nededog is a staunch supporter for improving the standards of service for non-profits and for socio-economic development for Guam and Micronesia. 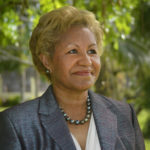 Board Member Mrs Vavatau is the former chief executive officer of SUNGO and current SUNGO Board chair. 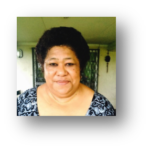 Shes an avid member of Goshen Trust in Samoa where she is curently an Executive member of the Goshen Board of Trustees. 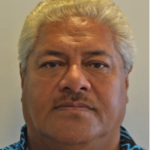 Board Member Robert Zutu is the Chairman of Development Services Exchange, the umbrella organization of CSO’s in Solomon Islands. 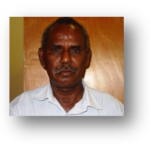 Mr Zutu is programs director for ADRA Solomon Islands and is a former town planner.